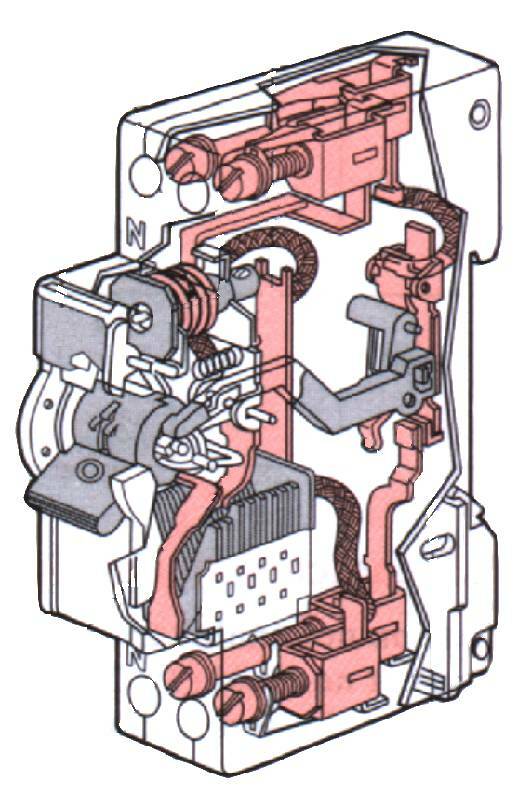 it is a device a manual or automatic control, one of whose role is to protect the system against overload and short circuit. * Several contacts has great breaking capacity. * Of a thermal trip. * D electromagnetic release (coil a plunger or armature). * By action of the thermal release in the event of overload. * By the action of electromagnetic trip in case of short circuit. -c is a valid protection for all control and power circuit but the major drawback is its cost is high. but lower than the current allowable by the same network. 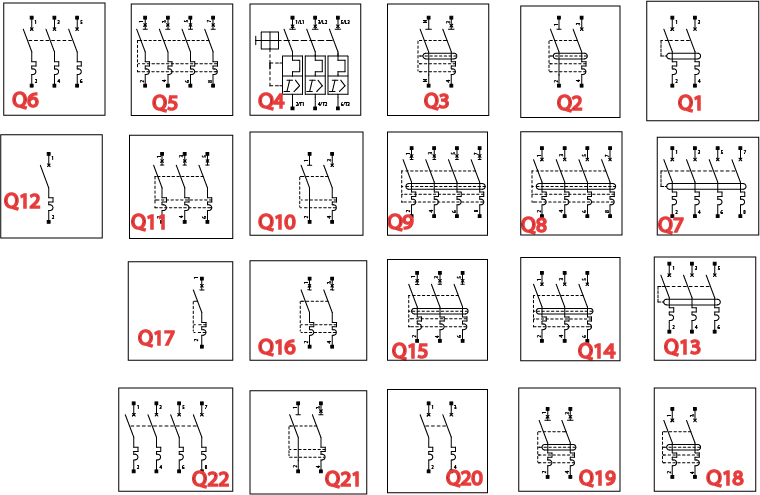 The continuous current is determined for an ambient temperature of 20 "C.
according to certain criteria pose. (Tables Fig. 6 and Z § 6.1.6.). 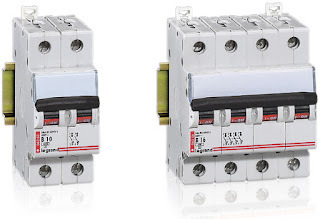 The circuit breaker breaking capacity must be at least equal to the current three-phase short-circuit may occur point of contact where it is installed. 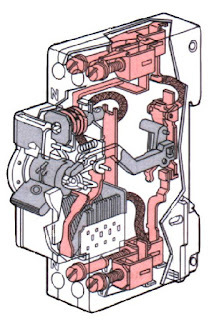 In TT system is secured by a residual current device (RCD). following their section cables (NFC 15-100). protection of their section (NFC 16-100). one that can support the cable. Q9: disj sect bipolar differential. 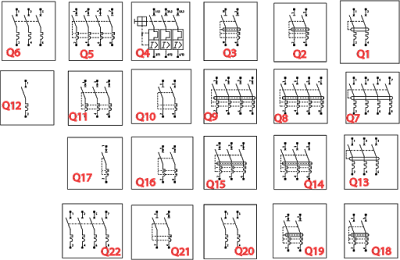 Q11: disj sect pole differential. Q15: disj sect pole differential. Q19: disj sect bipolar differential. 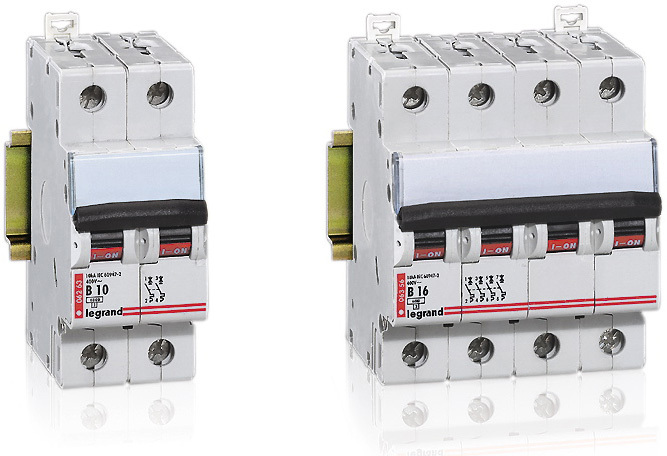 According to different criteria, there are different types of circuit breaker.